The Bretton Woods Ski & Snowboard School is pleased to offer a variety of seasonal programs for kids, teens and adults. These programs are designed to improve technique while providing a fun and comfortable environment. Bretton Woods also hosts junior racing programs as part of the Bretton Woods Competition Center. For additional information regarding any of these season-long programs, or to register for the 2018-19 program, please call 603-278-3303 or visit the Bretton Woods Ski and Snowboard School Desk, located on the lower level of the Base Lodge. All payments must be made by December 29, 2018 for season-long programs. For adults who want to develop the skills to enjoy the mountain’s varied terrain in all conditions. Men and women can gain confidence and achieve their personal best. We will tailor the program to your needs, and you will ski with some of our most talented instructors. The minimum skiing ability to participate in this program is the “Blue Zone” as described by the Bretton Woods Ski School. Join us this winter for our season-long Women First Ski Program. Our professional female instructors will help you develop skills and strengths in a friendly and comfortable environment. With your personal needs in mind, you can improve your skiing through specialized instruction designed by women for women. Skier ability will be taken into consideration to provide groups with a positive learning environment. The minimum skiing ability to participate in this program is “Blue Zone” as described by the Bretton Woods Ski and Snowboard School. In this group, skiers ages 50 and up can enjoy the camaraderie of their contemporaries and the guidance of one of our experienced instructors. Join as a couple to take advantage of great pricing. Program includes continental breakfast and a reserved, “just for members” area each day of the program. Includes morning refreshments at Slopeside, group ski with coaching, receive 10% off retail, 10% off demo equipment, and enjoy an end of season get-together. 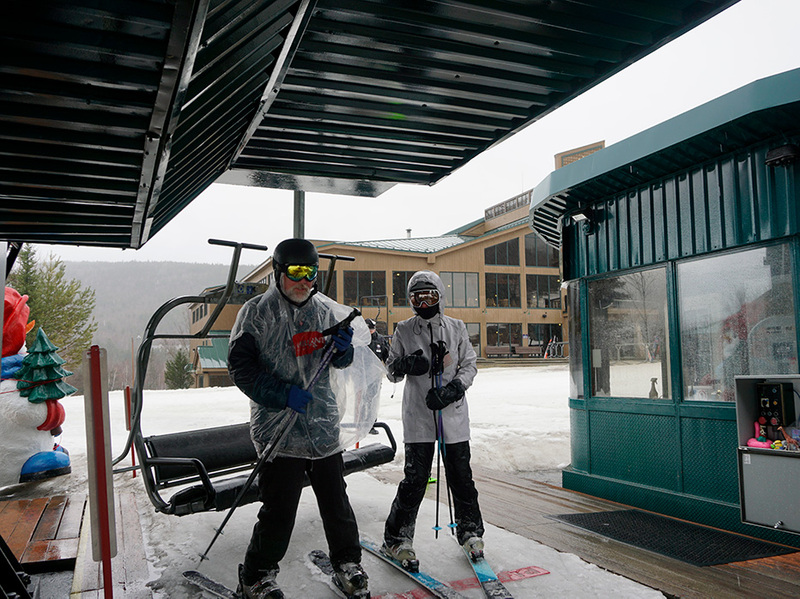 All participants must have a Bretton Woods season pass or day ticket to participate each day. All payment must be made by December 29, 2018 for Season-Long Programs. Reservations are required for our popular programs and are charged in full when booked. A full refund, less a $35 processing fee, will be issued for cancellations received 48 hours prior to date of arrival. Cancellations or changes made less than 48 hours prior to arrival will result in forfeiture of full cost of reserved activity, including those due to inclement weather or snow conditions.